True that. Priestley did find oxygen ─ and explored many other gasses ─ while still believing in the phlogiston hypothesis. Joseph Priestley was an interesting scientist to say the least. He combined science with religion and politics. He dissented from the Church of England, battled Antoine-Lavant Lavoisier over scientific ideas, and outwardly supported both the French and American Revolutions. Controversial is a word that could sum up Priestley’s beliefs quite nicely. Joseph Priestley came into the larger world of science at London Coffee House, a popular meeting place. It was here that he was introduce to Benjamin Franklin and other scientists tinkering around with electricity at the time and he proposed to write a story about their research and the impact it’s had on the world. Priestley was instantly accepted into the fold, and a lifetime of scientific debates and friendships began. Priestley would become so important, in fact, that his name was mentioned 52 times in Thomas Jefferson’s and John Adam’s letters to each other. Conversely, the name of George Washington was only mentioned three times 1. This man had a clear impact on America’s early culture. 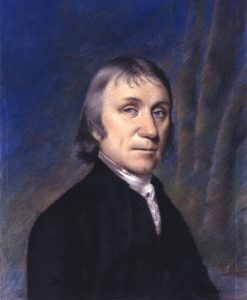 Priestley’s firebrand mentality in religion and politics was largely against the popular opinions and accepted modus operandi in England. He was a Unitarian in a day when you were either Catholic or Protestant. Thus, when push came to shove in Priestley’s twilight years, he was changed from England to America. But before that, he had to struggle every step of the way. In his book, The Cautionary Scientists: Priestly, Lavoisier, and the Founding of Modern Chemistry2, Davis describes Priestley’s life as a young man. Priestley was not wealthy, nor was he extremely lucky. He had a stutter, which made finding work somewhat difficult for him. Despite of that, he was smart and determined. He made a little money as a pastor, a teacher, and a writer. It was his work as a writer that would get him an invite into the world of science. 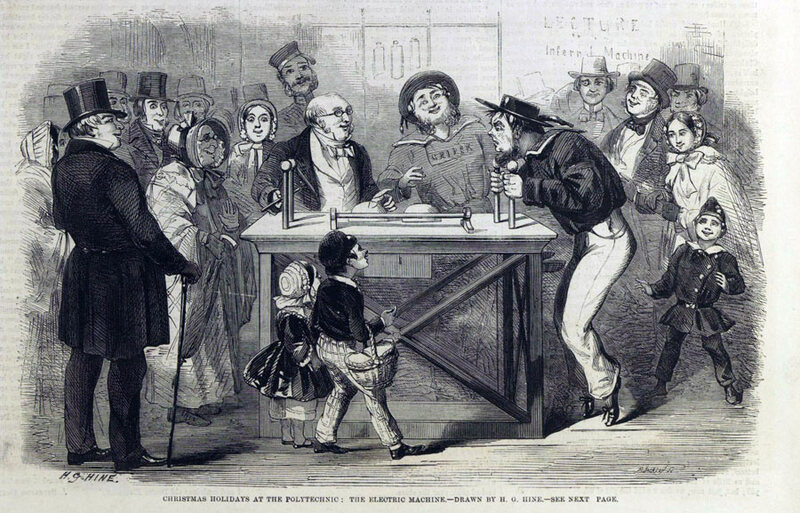 It was seeking information on electricity that found him sitting at the same table with the likes of Benjamin Franklin. His role in science was not as famous, but it was far more important. 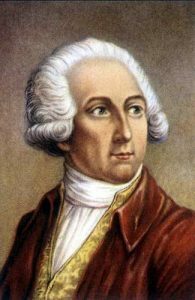 This war of words was between the famous Antoine Lavoisier’s philosophies and Priestley’s adherence to the older systems. Lavoisier was described as a privileged dandy, a complete contrast to Priestley’s struggle for his place. Lavoisier was frenetic and careless in some things, while careful in things involving categorisation of weight. Priestley was careful, methodical, but didn’t wildly think new thoughts beyond the realm of what was already known 2. But, despite of that, Lavoisier’s struggling hypothesis clashed with Priestley’s discoveries of oxygen. The fight over what to call it, either dephlogisticated air or oxygen, seemed to be trivial ─ a rose by any other name is still a rose type of situation, right? Turns out that this was a period battle for the soul of science. We know how it ends because we call it oxygen according to Lavoisier’s system, and we don’t talk about phlogiston in any great detail other than to snicker about how “stupid” we must have been back in the day. It was Priestley’s detailed work that Lavoisier read, but didn’t quite understand. While Priestley had done the work and collected data, he didn’t use it. Lavoisier quickly hashed through some lab work, rebranded Priestley’s work as Oxygen, and presented the data as his own. It was a classic tale of the common struggle in science: Be first, be detailed, but be flamboyant or be forgotten. Priestley’s name might be largely forgotten, but the next time you drink a soda, tip it up for him. It was his efforts that invented the carbonation method that makes it such a delight to drink. Johnson S. The Invention of Air. Penguin; 2008. Davis KS. The Cautionary Scientists: Priestley, Lavoisier, and the Founding of Modern Chemistry. G.P. Putnam’s Sons; 1966.